Our bodies change naturally over time. So if you haven’t had to deal with greasy hair before, there’s a decent chance you will at some point. 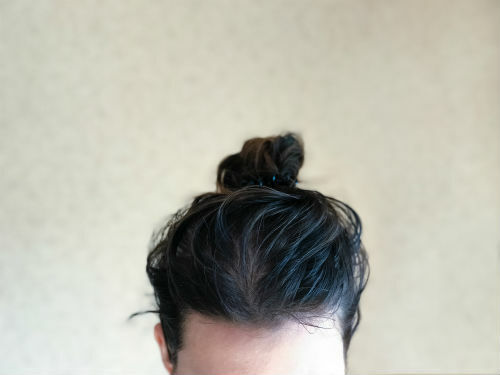 Having greasy hair can be annoying at times, but the good news is there are steps you can take to eliminate it or make it manageable at the very least. The human body produces oils to protect the skin and hair, but excessive production can lead to an oily mess. Here are a few important things you need to know about greasy hair and quality hair care routines to work with it. Sebaceous glands in the skin release natural body oils to protect the skin and hair. When these glands are overactive, too much oil gets released and can lead to greasy hair. The reason why you may need some hair products for Remy hair to tame down the grease is because there are more sebaceous glands on the scalp and face than anywhere else on the body. These glands could be overactive for numerous reasons, including an unhealthy diet, genetics, increased stress levels, frequency of shampoo use and the type of shampoo used. The first thing people think of when trying to reduce the grease in their hair is to wash it more often. This could actually be causing more grease to produce, since the body naturally works to replace the lost oils. Finding a balanced quality hair care routine with the right amount of washing is important. In general, take a look at the hair products for Remy hair you’re using and eliminate the ones that are oil based. These products will only enhance the greasy appearance of your hair. Water based products will produce greater results most of the time and can easily be washed out. There isn’t one single product that’s best for everyone. 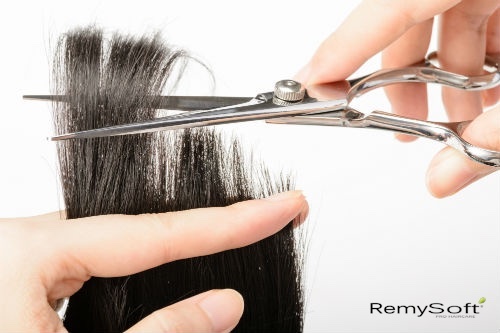 The best thing you can do is experiment with various hair products for Remy hair, including a hydrating shampoo, a sulfate free shampoo, leave-in conditioner and more. Work with your hairstylist to find some good options to start with and remember to be patient as you slowly find the right combination of quality hair care products suited to you. At RemySoft, we know and understand the struggles of dealing with greasy hair. The reality is it’s a part of life, but there are plenty of quality hair care products to help you control it. Be sure to contact us to learn about our product offerings and how we can help you work with your greasy hair. Having a wavy hairstyle can give you a certain amount of confidence, not to mention waves are great for any occasion. But if your hair isn’t naturally wavy, you may have to apply heat from a curling iron or other sources to create the waves you desire. The problem with this is you could eventually damage your hair with too much heat. The good news is there are some alternatives available, including heatless waves. Here are some different ways to create heatless waves, whether your hair is naturally long or you’re working with hair extensions. The best way to make heatless waves with your hair extensions is to braid them the night before. Then when you undo the braids in the morning, you’ll have a naturally curly appearance ready to be clipped in. The great thing about clip-in hair extensions is they are extremely versatile and you can easily create a wavy hairstyle without running the risk of damaging them with a curling iron. Everyone’s hair is different, and it reacts differently to certain elements as a result. You may be able to pull off the perfect wavy hairstyle this fall by simply going to bed with damp hair. Using a great sulfate free shampoo combined with a leave-in conditioner may be all you need. If you’re lucky enough to have hair that can be styled this way, keep it as simple as possible to create great looking heatless waves. People who aren’t fortunate enough to be able to create natural wavy hair can use braids to get their waves. Simply braid your hair however you’d like before you go to bed. Then when you release the braid in the morning, run your fingers through your hair to give it the bounce and volume you desire. This process is similar to using hair extensions, but you can generally get more volume from your natural hair. RemySoft not only wants to help you achieve the hairstyle you want, but we also want to ensure your hair remains healthy in the process. If you constantly use a significant amount of heat on your hair, you could be damaging it to the point where a great sulfate free shampoo won’t even help. Consider contacting us for advice on how to create the perfect wavy hair this fall without running the risk of damaging your natural hair, or your hair extensions. What Hairstyle Will Help You Look Younger? We all want to look younger, and depending on what you read, there are hundreds of different ways to achieve this. A lot of the anti-aging solutions involves changing your appearance drastically, or going through procedures to tighten up your skin. However, what if adding in some shiny hair extensions to your hairstyle could make you look younger instantly? Here are some of our top picks for hairstyles if you have a desire to look a little younger. If you’ve had short hair for a while, you may consider adding some shiny hair extensions to make your hair shoulder-length. Alternatively, cutting your longer hair to shoulder-length could achieve the same result. You can choose to go with curly, wavy or straight hair, but the secret to a younger appearance is mainly in the length. A nice center part hairstyle could also be your key to a younger appearance. You don’t even necessarily need a sophisticated quality hair care routine to pull it off either. Simply part your hair down the center and let it naturally glow. Add in a little volume as needed and you’ll look like you took a few years off of your appearance instantly. There are many different ways to wear a pixie cut, but the common theme among them is the people who wear them look younger than they actually are. You may choose to go with a messy pixie cut or go super short with it. Regardless, using a quality hydrating shampoo is critical, since you don’t want your hair to dry out and be a frizzy mess. Incorporating layers into your hair could also be a strategy to giving yourself a younger appearance. If your hair is generally flat and dull, you can spice it up a bit by changing your quality hair care routine to add some fullness to it. You don’t have to have long hair to add in layers, either. In fact, adding layers to short hair could give you just the right amount of change you need to look younger. 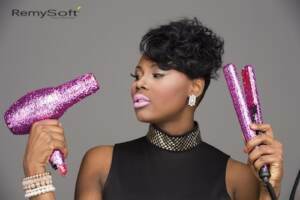 RemySoft is dedicated to helping people of all ages achieve their desired hairstyle. With many people wanting to look younger, we have the quality hair care products and the expertise needed to help you out. Be sure to contact us to learn more about our products, or for tips on achieving your desired hairstyle. Going through a bad hair day happens, but most of the time it’s avoidable. Many of the mistakes people make with their hair could be prevented by using the right hair product, or by making a simple adjustment to their hair care routine. 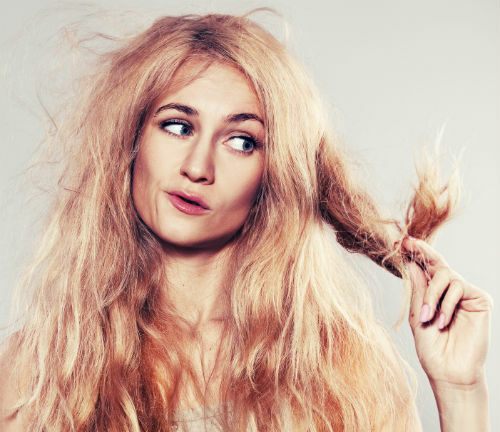 Whether you have dry hair, frizzy hair or simply can’t get your hair how you want it to look, here are some of the top mistakes you may be making with your hair and not even know it. You have to trim your hair periodically for it to continue growing health and strong. 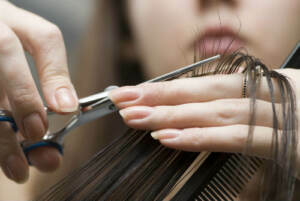 Waiting too long between trims could promote split ends and other issues. You don’t have to get a dramatic haircut often, but you do need to visit your salon every couple of months to have the strongest and healthiest hair possible. Overlooking the importance of a quality sulfate free shampoo and conditioner is one of the biggest mistakes people make. 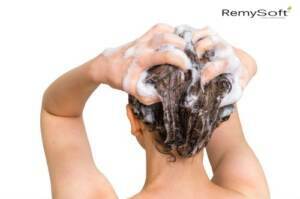 Shampoo with sulfate can actually cause more harm than good, so those need to be avoided as much as possible. 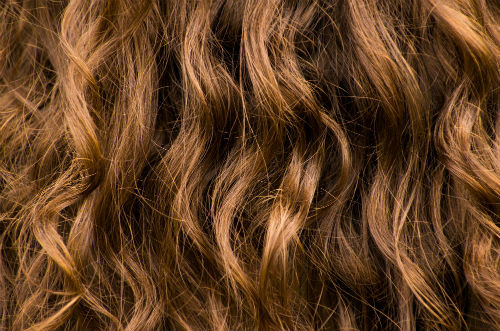 Switching shampoos could be your solution to healthier looking hair. Dry hair is a common problem people have with their hair. Most of the time, using the proper sulfate free shampoo and conditioner will keep your hair moisturized properly. But if it still seems like your hair is too dry, consider incorporating a leave-in conditioner. Brushing your hair while it’s wet is another common mistake. It’s easy to get in a rush and brush your hair right when you get out of the shower, but you need to wait until your hair is about 70% dry before brushing. Otherwise, you could be removing all of the good nutrients and treatments you just added to your hair with the shampoo and conditioner. Plus, brushing too much could cause you to have a frizzy mess. Using the proper sulfate free shampoo and conditioner is important, but using too much of it may not be the best option either, depending on your hair. Too much shampoo can cause dry hair and make it difficult to style. Instead, switch up your routine and only shampoo your hair once every few days for better results. RemySoft is here to help you prevent some of the most common mistakes from happening to your hair. Whether you need a good quality leave-in conditioner or just need to talk through your hair care routine, we are here for you. Be sure to contact us when you’re struggling with any aspect of your hair. What was the Hottest Hair Trend of the Emmys? The 2017 Emmys have come and gone, so it’s time to look back at some of the top hairstyles we saw walk the red carpet. One of the most common hair trends from the stars at the Emmys was a wet look. Some chose to go wet and curly, while others decided to go simple with a deep ponytail. In any case, it was evident the best quality hair care products were used to pull off these classy and stylish looks. If you watched the Emmys, you may have already tried out some of your favorite hairstyles you saw. But if you missed them or can’t remember which styles you liked, here are our top picks for best Emmys hairstyles. 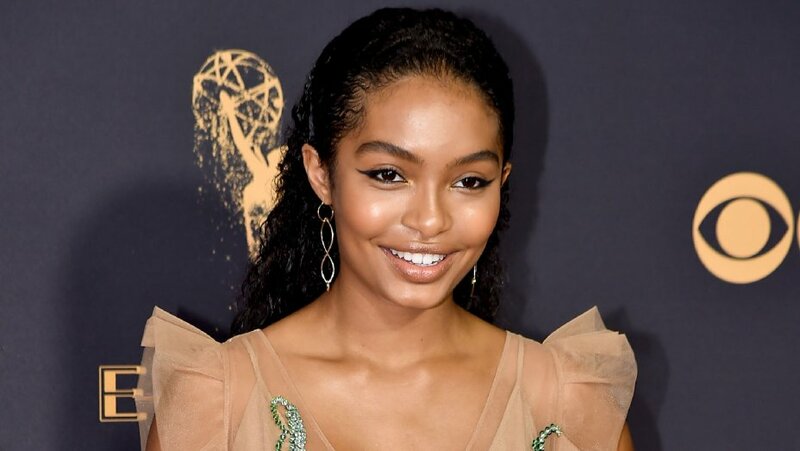 Yara Shahidi walked across the red carpet with this look. Her solid black hair had a sparkle and shine to it that really stood out among the crowd. The combination of tight curls on top and looser curls in the back was a great choice and worked perfectly with her wardrobe. If you want to try this hairstyle at home, be sure to stock up on some hydrating shampoo so your curls will hold their shape as much as possible without damaging your hair strands. Lea Michele completely rocked this look at the Emmys. Her hairstyle seemed so simple from the front with a simple center-part, but then the long waves in the back flowed so naturally. She also incorporated highlights with her waves to add even more glamour. The length of her hair suggests she may have used hair extensions, but it was well worth it when looking at the end result. Kiernan Shipka rolled into the Emmys with a simple slicked back ponytail, including a deep part. There wasn’t anything extravagant or special about her hairstyle, but it still caught the attention of a lot of people. It simply goes to show you how much a good quality hair care routine can make a difference in the appearance of your hair, no matter how simple of a look you choose. This hairstyle fit Regina King perfectly at the Emmys. Instead of going with the slick look like many other stars, she chose to incorporate volume into her style. Her hair was brushed back at the top and had subtle waves in the back down to her shoulder-length look. It obviously took some quality hair care products to hold the volume for the duration of the show, but she pulled it off tremendously. RemySoft wants to help you try your favorite look you saw at the Emmys this year. Whether you need a simple hydrating shampoo or any of the best hair products available, we are here for you. Feel free to contact us at any time to see how we can help you pull off the same look your favorite celebrity did at the Emmys. Making the transition from summer to fall doesn’t have to be extremely difficult, especially when it comes to your hair care. However, there are some specific things you need to take into consideration. It’s easy to get out of your quality hair care routine once summer ends, since most people don’t attend as many events until the holidays roll around. But before you change your hair care habits too much, here are five of the most common mistakes you need to avoid this fall. Your hair always needs moisture to remain healthy. Even if the weather isn’t as humid in the fall, you shouldn’t neglect your conditioning and moisturizing habits. However, the frequency in which you add moisture may change as the seasons change. Just keep your leave-in conditioner handy and use it as needed. Not trimming your split ends often enough could cause more damage to your hair than you want to deal with. The result could be cutting off a lot more of your hair than expected, so it’s better to maintain it by giving your split ends a trim once every few weeks at least. Some people prefer to only braid their hair in the summer, but braids are also popular in the fall. 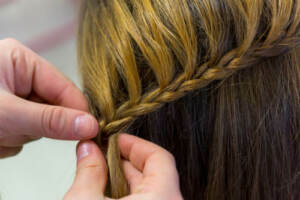 If you choose to braid your hair this fall, make sure they aren’t wound too tightly. Using quality hair care products can strengthen your hair tremendously, but it is still fragile and can be damaged by braiding too tightly. Probably the most common mistake across the board is not using the proper shampoo for your hair. When in doubt, use a great sulfate free shampoo to clean and protect your hair. Aside from using leave-in conditioner to keep your hair moisturized, it needs nutrients from the body to grow. The fall season brings the holidays, which can lead to poor eating and exercising habits. Remember your hair needs quality nutrients, so maintain a healthy diet and exercise regimen to keep your hair healthy and shining for the entire fall season. At RemySoft, we have all of the quality hair care products you need to maintain healthy and attractive hair this fall season. The transition from summer to fall can be difficult for some people, but we are here to help. Be sure to reach out to us to see what products may be best for you, or if you need any hair care advice. Everyone’s hair grows differently, but sometimes it may seem like your hair doesn’t grow at all. If you’re trying to grow your hair out and not getting the results you’d like, there could be a good reason or two why your hair is stuck at one length. It can be tempting to just invest in hair extensions when your hair isn’t growing at the rate you’d like, but you need to identify any underlying issues as to why your hair isn’t growing in the first place. Here are some of the reasons why your hair may be at a standstill with its growth, and what you can do about it. In addition to quality hair care practices, your hair needs a certain amount of nutrients to promote growth. This could be in the form of hair products or what you eat. A diet rich in vitamins, iron and zinc all contribute to having healthy hair. And since healthy hair promotes growth, evaluate your eating habits if your hair is stuck at one length. Your hair will change as you get older. Your body will naturally produce fewer oils, leading to dry hair and making it more likely to break. It also depends on the types of products, dyes, styling, bleaching and other things you did to your hair over the years. You can still help your hair grow by changing your diet and incorporating the right products, but your age could be a reason why your hair isn’t growing. Split ends cause breakage and are a result of dry and damaged hair. Using the right hair products can prevent dry and damaged hair. If you aren’t using a leave-in conditioner every night, try incorporating it into your routine. When you get split ends, your hair breaks off at the ends eventually. So your hair may actually be growing at the roots, but it’s not getting longer due to it getting shorter as the ends break off. The importance of a quality hair care routine can’t be understated. Whether it’s just using the right shampoo and conditioner, brushing properly or avoiding aggressive towel-drying habits, sometimes a simple adjustment to your routine can make a big difference in your hair growth. The secret to growing hair is to keep it healthy as much as possible. 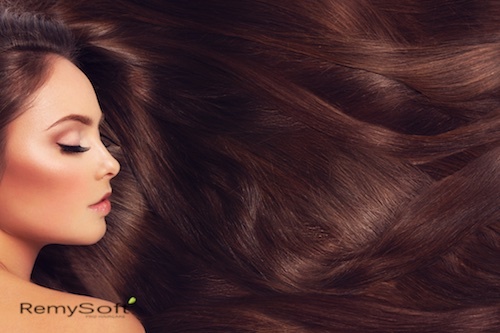 At RemySoft, we have the perfect products you need to maintain healthy hair to promote growth. 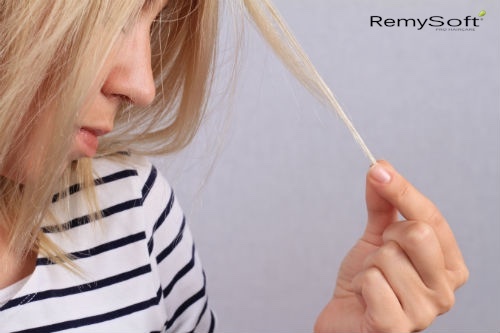 Before you reach for the hair extensions, reach out to us to see how we can help your hair grow naturally and keep it healthier at the same time. Like with anything, our taste in hairstyles change constantly. You may have been gung-ho about getting a pixie cut several months ago, but now you’re over it and want to grow it out. While it’s entirely possible to do so with very few issues, you have to continue to take care of your hair as it grows out. Many people make the mistake of simply letting it go and not using the right hair products for Remy hair anymore. Not only could this damage your hair in the short-term, but you won’t be happy with what your hair looks like as it grows out either. Here are a few tips on how to properly grow out your pixie cut for the best results. Growing out your pixie cut just means you shouldn’t cut your hair anymore, right? That’s not necessarily the case. Letting your hair grow without maintaining it with a trim every now and then could lead to a messy hairstyle during the process. We suggest trimming the back of your pixie cut often and let the rest grow out. This will create better long-term results and your hair will look great during the growing-out phase as well. In addition to taking care of your hair by using a quality sulfate free shampoo, incorporate different accessories, style your hair differently or use a new product. It’s easy to just let your hair go when you’re growing it out, but embracing the transition will help you appreciate your hair more. Go for a messy look one day, accessorize or slick it back another day. This is the perfect time to be creative with your hair! Shorter hair is more vulnerable to being damaged than longer hair. So to prevent damaged and dry hair, don’t add a lot of hair dye, heat and extensive use of products. There are plenty of hair products for Remy hair you can use, but you don’t want to use all of them at once to try to hide imperfections. Growing out your pixie cut is a long process and takes some dedication. Patience and the right amount of products and hair care will give you the results you desire. RemySoft wants to help turn a potentially frustrating situation into a pleasant one for you when it comes to growing out your pixie cut. Whether it’s just a simple sulfate free shampoo or tips on styling your hair during your transition, we are here for you. Feel free to reach out to us if there’s anything we can help with on your journey. Here Are Some of the Best Ways to Keep Your Hair Hydrated This Summer! Keeping your hair hydrated during the hot and humid summer months may seem like an impossible battle to win. The main thing you need to understand is what your hair needs in order to stay hydrated. It’s not as difficult as you may think, but it just requires a little thought and effort. It also helps to have the right hair products for Remy hair as well. Here are some of the best ways you can make sure your hair doesn’t end up dry and damaged this summer. When you have dry hair, it’s tempting to wash it frequently. But the reality is washing your hair too much can actually cause it to dry out even more because you are stripping away the natural oils. When you do wash your hair, be sure to use a quality hydrating shampoo. This will ensure you are making the most out of your hair washing and not having to wash it as often. One way to prevent yourself from overwashing your hair is to use a leave in conditioner after your shower every night. You may choose to alternate hair washing days with days you use leave in conditioner, but that is completely up to you. In general, leave in conditioner will help keep your hair hydrated longer than just shampoo. Depending on how you style your hair, you may be causing it to dry out more. Some styling products aren’t designed for going out in hot and humid conditions, so make sure your hair products for Remy hair are suitable for those conditions before you apply them. If you know you’re going to be out in the sun for an extended amount of time, keep a spray water bottle handy. You can spray a mist of water on your hair occasionally to keep it hydrated temporarily until you can use your hydrating shampoo and leave in conditioner later that day. 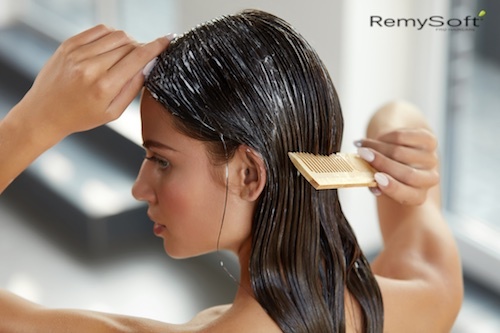 Remysoft knows the struggle of keeping your hair hydrated during the hot and humid summer months. But with just a little thought and effort, you can ensure your hair remains healthy and hydrated for the duration of summer. For more tips like these, and for the best hair products for Remy hair, feel free to contact us at any time. If you’ve never heard of co-washing before, it simply means you skip shampooing your hair and use only conditioner. There are some great benefits to co-washing, but it helps if you have the right hair type in order to get the desired results. You can also enjoy the money savings by not having to buy shampoo anymore! The hardest part many people struggle with is changing their quality hair care routine. Believe it or not, it can take a few days or a couple of weeks to adjust to the new routine and styling your hair how you like it. With the right hair products for Remy hair, you can ease the transition significantly. The best candidates for co-washing are those who have naturally dry hair. This typically means if you have curly or wavy hair, co-washing may be something for you to consider for your quality hair care routine. When you don’t wash your hair with shampoo, the hair retains more of the natural oil it produces. Combine that with the moisturizing components of conditioning products and you may experience silkier and smoother hair. With co-washing, it’s important to choose the right hair products for Remy hair tailored to your specific hair type. It’s best to avoid sulfates, so finding great sulfate free shampoo and conditioners is essential. There are actually products designed specifically for co-washing, so just be sure to read the description when searching for them, or ask a product specialist. Using too much shampoo and conditioner can remove the natural oils your hair needs to be healthy. Even using a leave in conditioner would be advantageous if you’re considering co-washing. From a styling perspective, co-washing will generally make it easier to style your hair since it will have more body and will be easier to work with. Depending on your hair type, you may not have the best results with co-washing. People with very thick hair tend to feel like their hair is heavy and dull after they try co-washing. People with this type of hair just may need to combine other hair products for Remy hair to achieve the hair they desire. Remysoft knows the challenges associated with co-washing. While it can be beneficial for many people, it’s definitely not for everyone. Be sure to contact us if you have any questions about co-washing in general or if you aren’t sure what products to use for your hair.